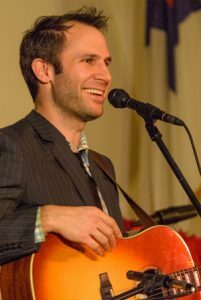 The Jake Armerding Band performed at the Rose Garden in 2014. Here he was joined by his father, Taylor on Mandolin, Richard Gates (bass), and his brother Jesse Armerding on percussion. Photo by Stephen Ide. 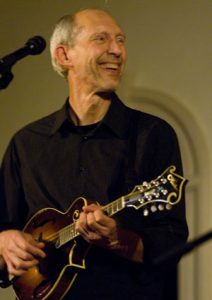 Taylor Armerding spent nearly three decades as front man, lead singer, mandolin player and chief songwriter for the progressive bluegrass band, Northern Lights, which recorded nine albums and toured nationally with the late fiddle legend Vassar Clements, bluegrass star Peter Rowan and folk/rock icon Jonathan Edwards. 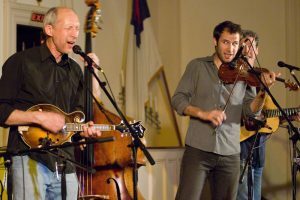 Since 2001 he has performed and recorded six albums with the Vermont-based Bluegrass Gospel Project. He recorded a solo album, “Head That Way,” in 2009. At 13, Armerding joined his father’s bluegrass band, Northern Lights, on fiddle. He soon turned his attention to songwriting, and recorded his first CD, “Caged Bird,” while earning a degree in Literature at Wheaton College (IL). The record was an immediate hit on Boston’s folk radio station, WUMB, which honored Armerding with its 2001 Best New Artist award. 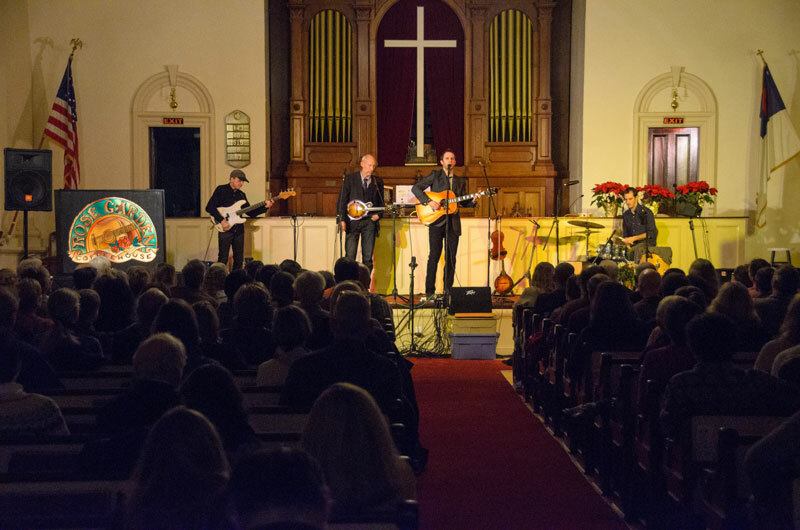 Touring regionally and with support from radio, the record eventually sold more than 2500 copies and got Armerding noticed by the hip Nashville independent label Compass Records. In 2003, Compass released “Jake Armerding,” a collection of folk-pop songs written over a year living in Music City. It was the #6 most-added new record among Americana radio stations in April 2003, and critical praise soon followed. “A master at bending boundaries,” marveled the Boston Globe, while the Washington Post praised Armerding’s “remarkable” instrumental skills. Touring non-stop, he made debut appearances at the Newport Folk Festival (RI), Kerrville Folk Festival (TX) and Falcon Ridge Folk Festival (NY) that year, along with some of the country’s best-known acoustic venues, the Ark (MI), Bluebird Cafe (TN), Tin Angel (PA) and the Freight & Salvage (CA). After more than 500 performances, from Anchorage to London and Miami to Bangor, Armerding returned to Nashville to record “Walking on the World.” With the help of Nashville legends (Dan Dugmore on pedal steel) and his own friends in the scene (Crooked Still’s Aoife O’Donovan on harmony vocals), he crafted an album that is “sharp, original, quietly intense, and rewarding for any who’ll listen with both ears” (Lansing State Journal). “Walking” is as difficult to categorize as much of today’s best music; equal parts New England singer-songwriter, acoustic rock and newgrass, no genre is exactly safe. But the effect is natural – “his real achievement has been to break the conventions that define country music” (Boston Globe). Armerding stands out from a crowd of new singer-songwriters for his ability to create something new out of something old.